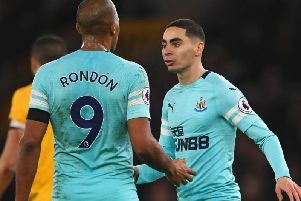 Could these be Newcastle and Sunderland's FIFA 19 player ratings? Football fans across the country will be keen to get their hands on a copy of FIFA 19 when the popular video game is released later this month. But has some of the game's information been leaked ahead of schedule? Twitter account @FutSpy has tweeted several pictures of club's starting XIs, including Newcastle and Sunderland, revealing their overall player ratings. You can view the proposed ratings on the images below.